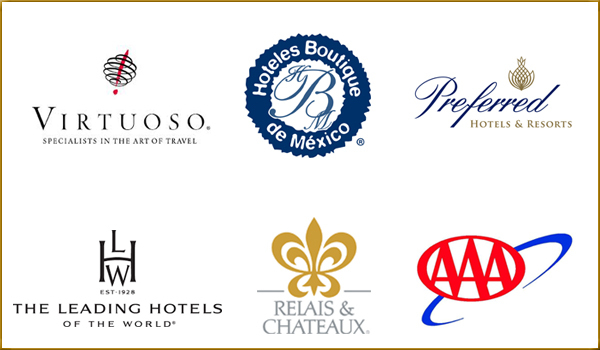 Top luxury purveyors including Virtuoso, the American Automobile Association and its Diamond awards, Relais & Châteaux, Mexico Boutique Hotels, Preferred Hotels & Resorts and The Leading Hotels of the World, Ltd., acknowledged the Destination for its exceptional properties. The Riviera Nayarit leads the way when it comes to luxury tourism destinations and is endorsed by some of the top international industry organizations, which have acknowledged several of the Destination’s hotels and restaurants for their excellence. “In the Riviera Nayarit we have many 4- and 5-star properties, but we also have 15 Gran Turismo hotels and another four Categoría Especial properties, designations that are equivalent to the 4- or 5-Diamond AAA awards, respectively. This ample variety of luxury hotels that are endorsed by industry specialists places the Destination squarely on the world stage,” said Marc Murphy, Executive Director of the Riviera Nayarit Convention and Visitors Bureau (CVB). The Riviera Nayarit is considered a Virtuoso Destination, part of the leading Luxury Network in the tourism industry. This organization has over 340 agencies with 8,900 elite advisors in 20 countries, most of them in the Americas. In Mexico, the Riviera Nayarit occupies second place in its network with four Virtuoso properties. The AAA (American Automobile Association) Diamonds are awarded to the best of the best on the continent. The Riviera Nayarit boasts 14 hotels and six restaurants with 4- and 5-Diamond designations; in Mexico there are a total of 16 5-Diamond properties, four of which are in the Riviera Nayarit, positioning the Destination in second place in domestically. The AAA has nearly 54 million members. The Leading Hotels of the World, Ltd.—previously known as The Luxury Hotels of Europe and Egypt—represent over 400 luxury hotels with over 68,000 rooms. There are only eight of these in Mexico divided among five destinations; the Riviera Nayarit is one of them. Of the four hotels in Mexico that are part of the Relais & Châteaux luxury collection—with 500 hotels and restaurants across 60 countries—one is located in the Riviera Nayarit. Preferred Hotels & Resorts choose their members from among the most exclusive properties in 85 countries; there are two of these select properties in our Destination. Another purveyor of exceptional properties, Mexico Boutique Hotels, has three members of its group in the Riviera Nayarit.